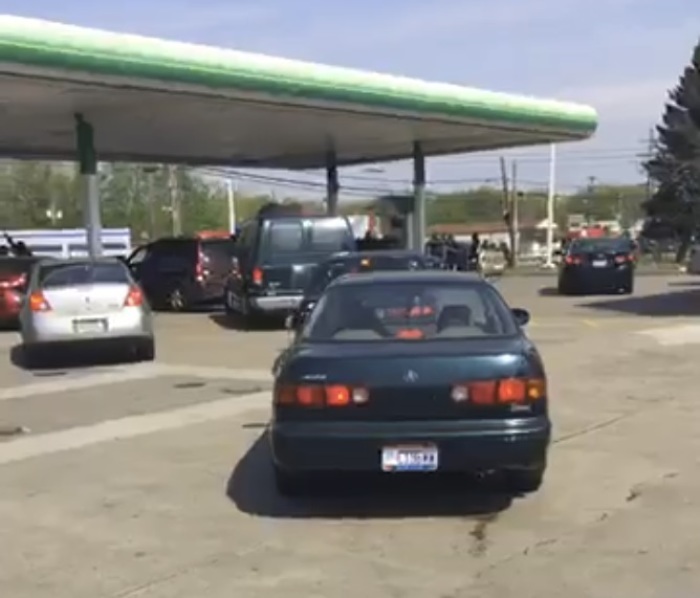 A campus of an eight-location multiracial megachurch in Ohio celebrated its 10th anniversary by buying gas for over 100 cars on Saturday. The Liberty Campus of Victory Christian Center, an Assemblies of God congregation that has eight campuses across Ohio and Pennsylvania, spent over $3,200 to buy 10 gallons of gas for the first 100 cars that stopped by a local BP station on Saturday morning as a way of giving thanks to a community it has served for the last decade. Led by VCC Liberty pastor Lock P. Beachum Jr. and aided by local police, about 30 volunteers from the church manned the pumps at the gas station and blessed Youngstown-area residents by pumping fuel paid for by the church's community outreach initiative Operation Impact. Beachum told The Christian Post that for over an hour, he and the volunteers provided at least 112 cars with about $30.00 worth of gas each. "I actually heard about a couple of people who cried. They were just so blown away of this act of kindness," Beachum told CP. "Our church is in a distressed area, so [for] a number of folk just being in the situation of life that they are in, that [meant a lot]. It equated to 30 dollars." According to the pastor, only a "select few" members of the church were told about the giveaway. "We didn't want the word to get out. Simply put, when that day came on Saturday morning, just like anything else, word had already kind of leaked out a little bit so some people already knew. I also did a Facebook Live [video]," Beachum said. "All the people waiting in line were, I'm sure, calling all their friends and telling everybody they are getting free gas." In addition to the gas, church volunteers handed out free snacks and water to the drivers. Beachum explained that although the plan was only to give out 10 gallons of gas to 100 cars, some beneficiaries of the giveaway felt so blessed that they donated to the ministry, which in turn helped pay for gas for more cars. "One of the folk that got the free gas, they said, 'Thank you for the incredible blessing. I feel so blessed that I want to give some money to the ministry,'" Beachum said. "We took that money that they gave us to the ministry and we put it towards more gas. So we ended up servicing 112 cars rather than 100 cars that was planned." Saturday's giveaway is not the first time that the church's Operation Impact has given away free gas. In 2015, the church gave seven gallons of free gas to cars as a way to celebrate the campus' seventh birthday. "We thought it would just be an incredible way of showing the love of Jesus that would be beyond some of these other acts that we have done," the pastor said. The money raised via Operation Impact came solely from VCC Liberty and not the seven other campuses affiliated with VCC, which was initially founded in 1978 as the Coitsville First Assembly of God underBishop David L. Thomas. Through Operation Impact, VCC has been able to do things such as give away cars to individuals and families in need. About five years ago, Operation Impact even paid for and renovated a house that was eventually given to a local mother and her children. Beachum, who also serves as VCC chief operating officer, told CP that he founded Operation Impact as a way to finally accomplish his childhood dream. Having played football at nearby Ursuline High School and receiving a scholarship to play running back at Miami University of Ohio, Beachum always wanted to play in the National Football League. Although that dream never came true, Beachum said that didn't mean that he couldn't go ahead and start a charitable initiative to serve his hometown community like he had always envisioned. "Operation Impact is really the ministry that if I would have played in the NFL and I would have set up a nonprofit, that would have been Operation Impact. That's pretty much what it is," he stated. "I am a guy who wanted to play in the NFL. That did not happen for my life but I always wanted to do something that I get to do now." "That is why Operation Impact was created," he added. "It was created to bless the community."